The link below will take you to my “Part-time” Grabber (it will open a new Window / Tab). The receiver is currently an FT-847 with W3DZZ inverted-V dipole running NE<>SW. 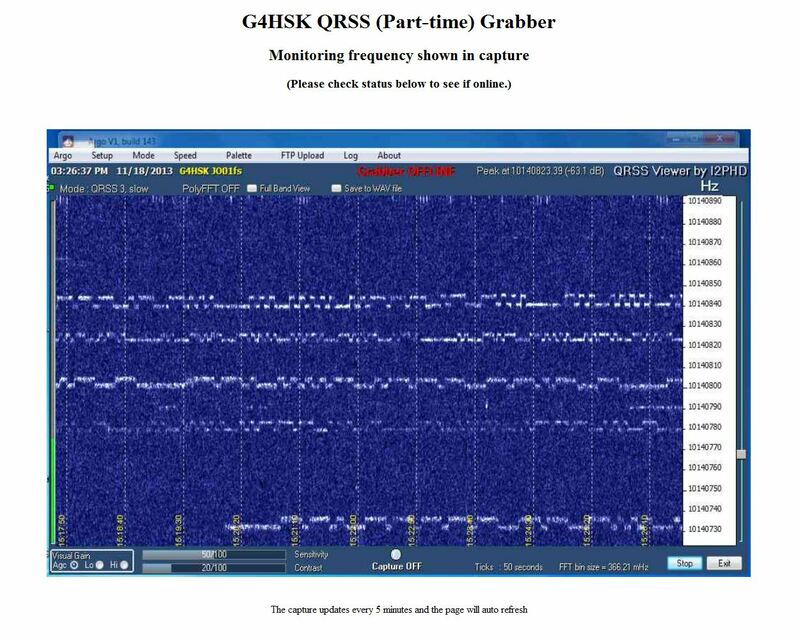 The captured image will show the Grabber status and frequency being monitored.